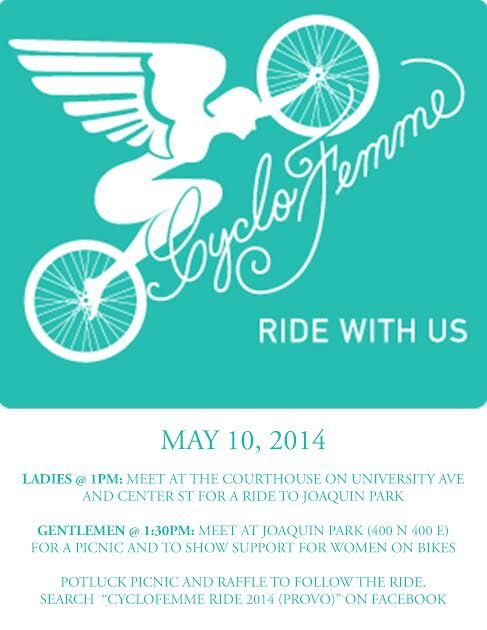 Ladies of Provo, please join us for a leisurely May ride during our city’s very own Cyclofemme event. Ladies and gentlemen are both invited for a celebratory picnic following the ride. Cyclofemme is a national ride that started by Sarai Snyder – who, coincidentally, will be speaking at tomorrow’s Bike Utah conference. Take a look at the poster below or the Facebook event for details on the Provo ride. SALT LAKE CITY – April 15, 2014 – The sixth annual Utah Bike Summit will be held Friday, April 25, and will gather citizens, riders, cycling advocates, government officials and representatives from some of the world’s biggest bike brands to discuss, plan and promote the efforts to make Utah the most bike-friendly state in the country. 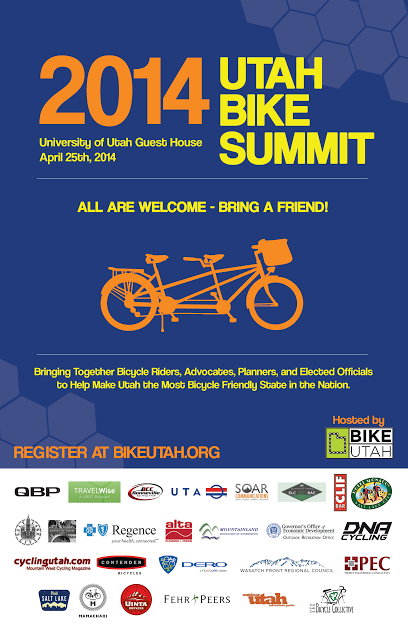 The Summit will take place at the University of Utah Guesthouse in Salt Lake City, and is open to the public. Attendees can register online at www.utahbikes.org/SummitRegistration. This year’s keynote speaker is Sarai Snyder, founder of the women’s cycling blog Girl Bike Love and the global CycloFemme ride. The goal of both of these efforts is to grow and empower the future of women in the sport of cycling. 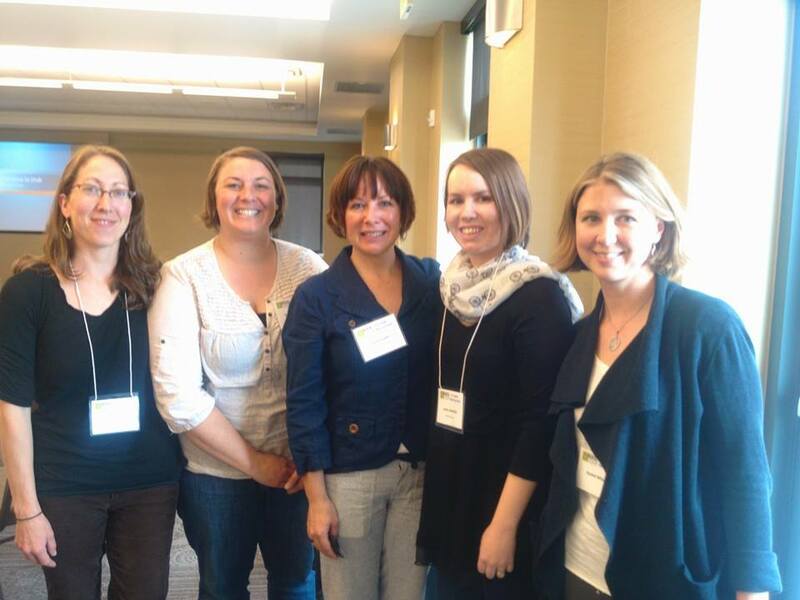 Sarai also sits on the Women Bike Advisory Board for the League of American Bicyclists. In addition to this year’s keynote address, the Summit will host two roundtable discussions featuring leaders from UDOT, UTA, WFRC, MAG, as well as Salt Lake City Mayor Ralph Becker, Odgen Mayor Mike Caldwell and Provo Mayor John Curtis. The afternoon agenda is packed with breakout sessions addressing a variety of Bike Friendly advocacy topics and a post-summit reception closes out the day’s activities at Contender Bicycles. To highlight some of the cycling opportunities that can be developed through community and interagency cooperation, a group ride is planned the next day following the Summit on the Murdock Canal Trail. The ride will depart from the Orem FrontRunner Station at 9:05 a.m.
See the full agenda here. For more information, visit www.bikeutah.org. Bike Utah is a 501(c)3 non-profit charitable organization made up of recreational and commuter cyclists, bicycle manufactures and retail shops, and transit advocates working to improve bicycling conditions throughout the State of Utah. 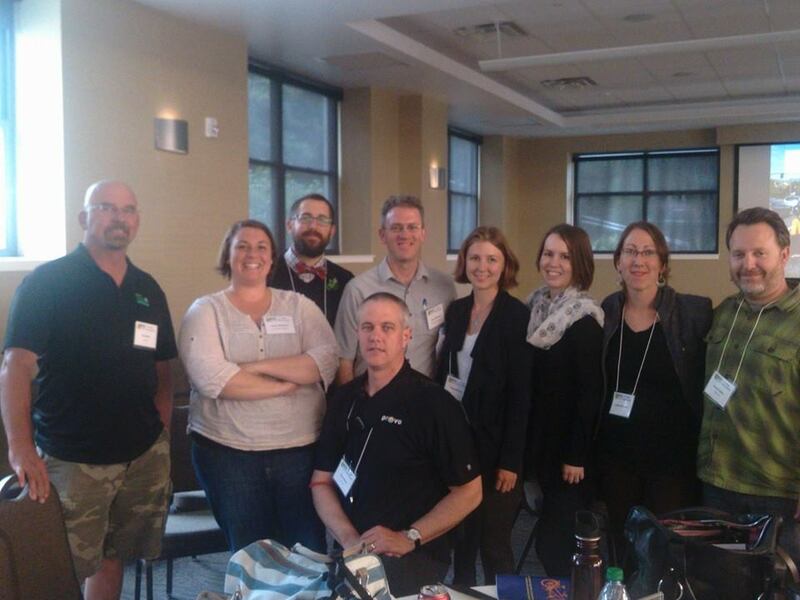 The mission of Bike Utah is to integrate bicycling into the everyday culture of the state.